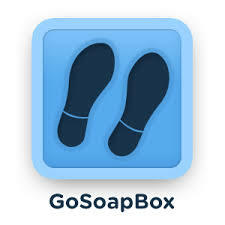 GoSoapBox is a web-based student response system. Its creator and CEO, John Styley, remembered that he shied away from asking questions when he was a college student. Feeling he had missed opportunities to express his lack of comprehension and that it had hindered his chances to excel as a student, Styley promoted GoSoapBox to provide a platform for both teachers and students to communicate. As a teacher, you can create an “Event” for students to join. Each “Event” has its unique class code that you share with your students. Within each Event, you choose which features are accessible to your students. Features can be quizzes, discussion questions, or polls. One particular feature, “the Confusion Barometer” helps students communicate anonymously whether they understand the topic. The barometer can be accessed during a lecture given by you, so students can provide instant feedback to let you know whether they understand the content. Students can ask questions or vote for questions they would like to see addressed in class. Please note that even though GoSoapBox welcomes educators’ feedback, it is not made by educators nor by people with teaching experiences. A jarring example of this is that on its main page it suggests that classroom “Q&A is a waste of time” and using GoSoapBox can reduce the need for it. As an educator, I do believe that “Q&A” is valuable in all classrooms as a way of drawing out critical ideas and creating a respectful intellectual community. Cost: Free for K-12 and university educators to use with small classes with less than 30 students. $99 for up to 75 students and $179 for up to 150 students. For larger classes, you can contact GoSoapBox to find the best plan for you. Devices: Can be accessed 24/7 on computer and on Android and iOS devices with Internet. You can check your students’ responses and comments outside of class. GoSoapBox also points out that students can post questions they did not have a chance to ask in class. Substitution: Students can take a quiz on GoSoapBox instead of taking the quiz on paper. Augmentation: Students use the Confusion Barometer to privately let their teacher know whether they understand the course/lecture (instead of indicating they need additional information by raising their hand or speaking to the teacher after class). Students choose and vote for questions they want to see addressed in the class, allowing the teacher to adjust their lesson immediately. Modification: Students can provide immediate and anonymous feedback so the instructor can modify the lecture accordingly to make teaching and learning more efficient. Redefinition: After a poll, the instructor can share the results with the whole class and have students analyze the results. Math and Science: Students can vote on questions such as “which of these is the Pythagorean Theorem?” Students make predictions on “confusion” or other statistics provided by GoSoapBox for their own or other classes, or use resulting data to create graphs of classroom discussion over time. English/Language Arts: The teacher can create a multi-choice questionnaire for a story taught in class. The teacher can create discussion forum about a current event. At the end of class, one or more students are asked to summarize any GoSoapBox activity that took place, and this is used as the starting point for the next class. World Languages: Ice-breaker questions. Students can be more comfortable posting their responses anonymously without feeling judged on their grammatical mistakes. Health: Students can use the anonymous question function to pose questions they may not want to ask publicly. Pelayo Rivera, Verónica (2015) Design and Application of Quantified Self-Approaches for Reflective Learning. Karlsruhe, Germany: Kit Scientific Publishing.